Welcome to my garden! Where does the time go? 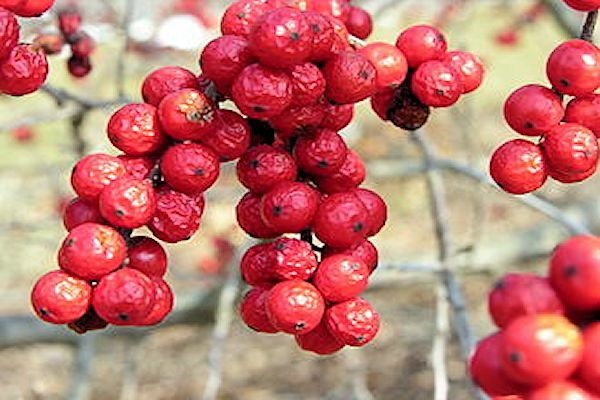 I started this blog back in February of 2010 and have been enjoying writing and communicating with other garden bloggers ever since. 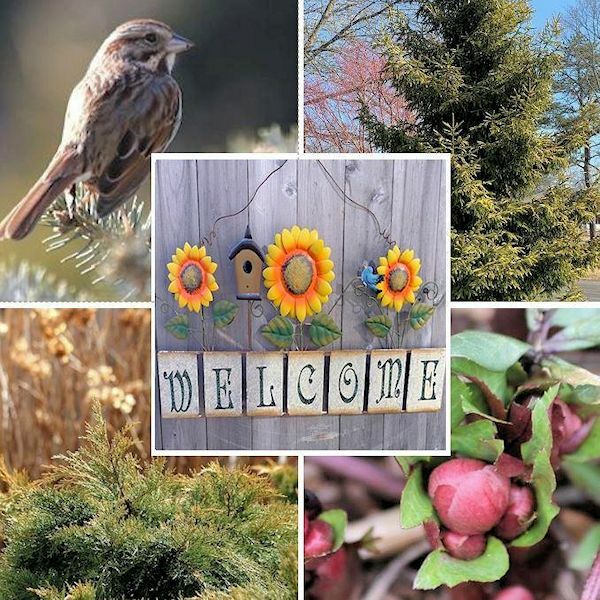 Blogging has become a part of who I am and thanks to the meme called Garden Bloggers Bloom Day, created by Carol of May Dreams Gardens and Foliage Follow-Up, created by Pam Penick of Digging, this monthly post to show what is happening in the garden has become a meaningful routine. 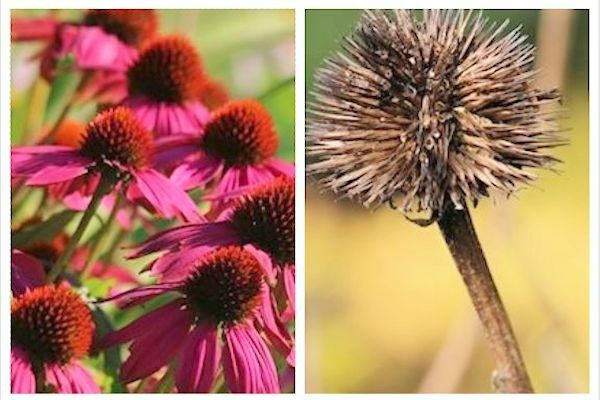 Over the years, my lifetime passion for gardening has developed into a career, and writing brings me joy as I share my experiences and passion for all things green. 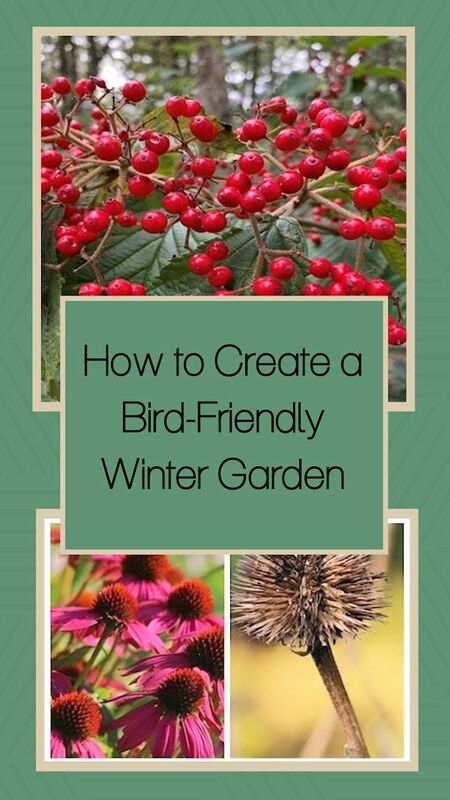 As I celebrate nine years of blogging and writing, come along as I share a tour of my February garden. The past few winters in the garden have been unpredictable (to say the least) and this February has not been any exception. 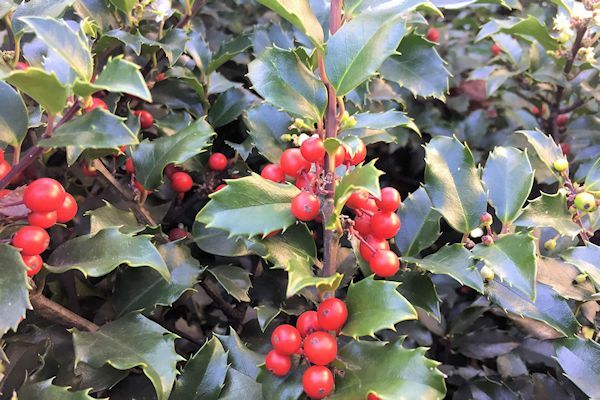 Between the end of January and start of this month, the temperatures have experienced a fifty-nine degree fluctuation, with daytime lows in the single digits (6 degrees) at the beginning of the month to temperatures topping off at 60 degrees by February 5th. Snow has been scarce, with the exception of a light dusting a few days ago, which quickly turned to ice then rain. 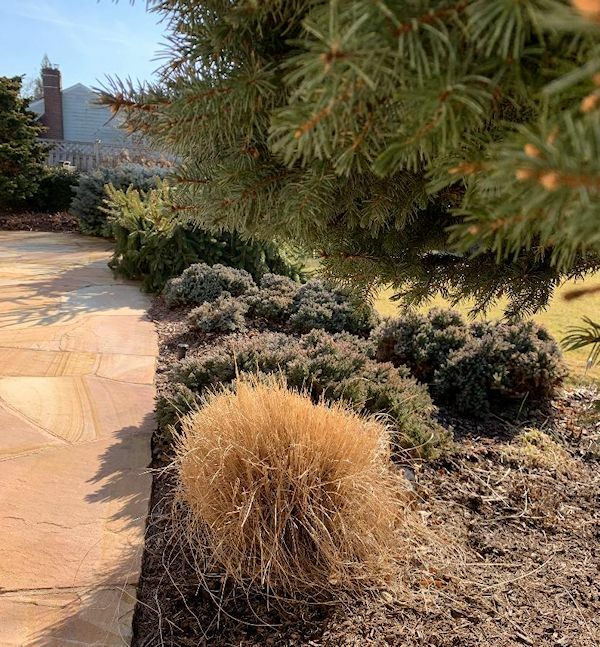 The garden is showing signs of both winter and spring. 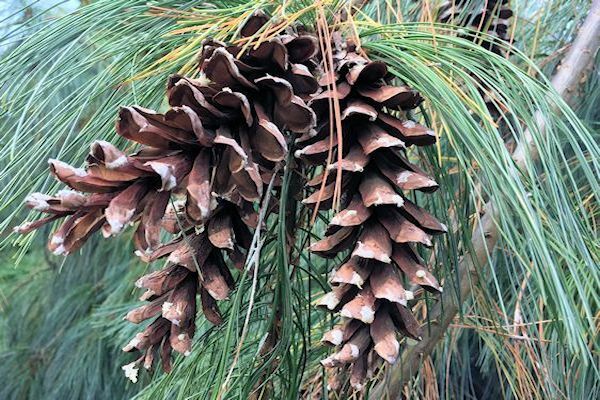 For the winter months, I rely on the beauty of evergreens to serve as the backbone to the garden, while blooms serve as an added bonus in the warmer months. 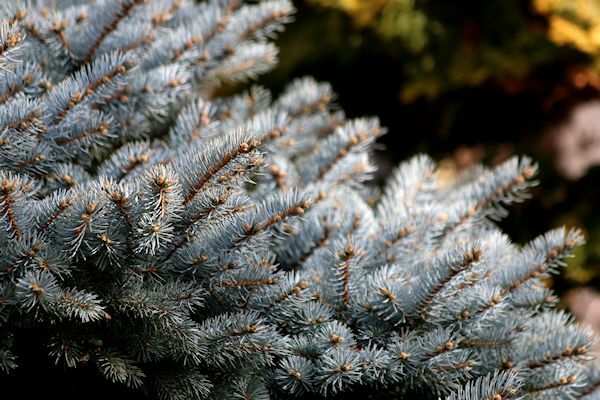 This Blue Globe Montgomery Spruce is a personal favorite for its color and compact shape. 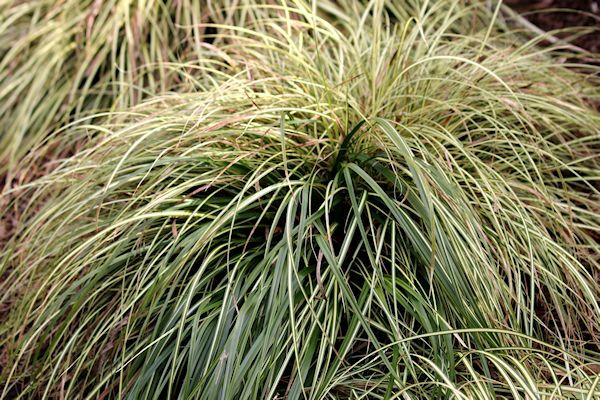 Golden Variegated Sedge has also become a stable in my garden. 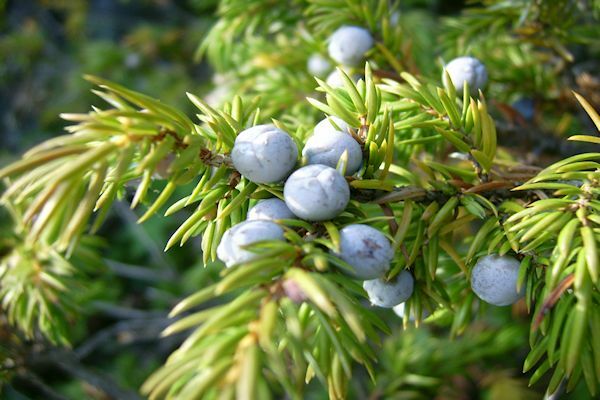 It tolerates shade, stays evergreen all year long and requires very little maintenance. I've only had to clean it up a bit by removing winter-burned foliage in the spring, which is an easy task. 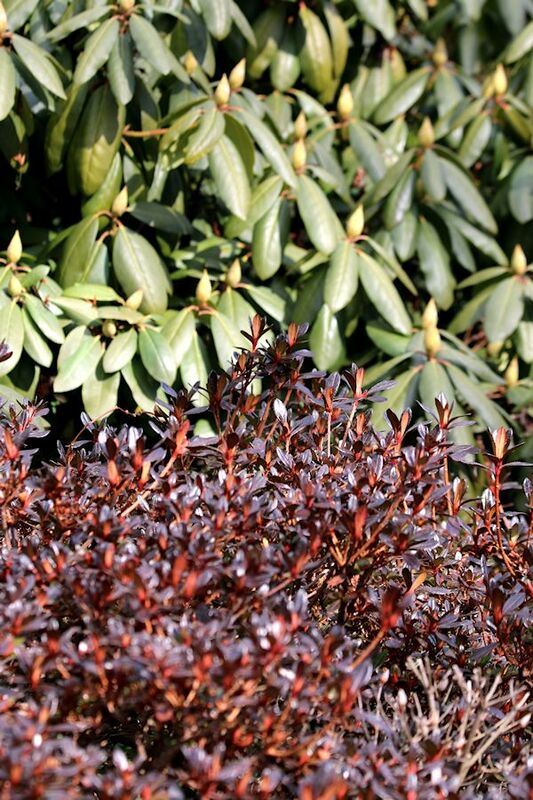 As we walk around to the back of the pool area, the foliage of Azalea 'Hino Crimson' has turned to its deep burgundy color against the green of Rhododendron 'Elegans' in the backdrop. I love how some of the evergreen foliage changes in winter. 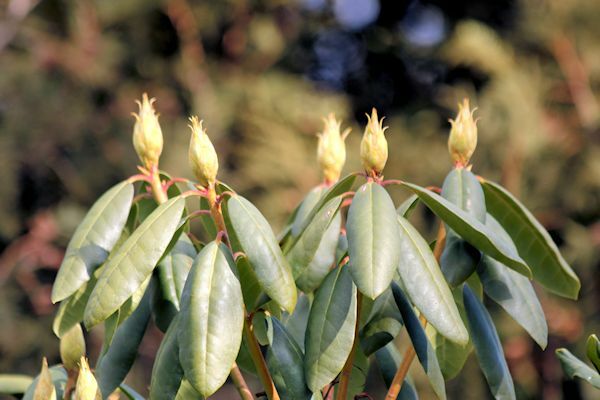 It's pretty early for the buds to be so large on the Rhododendron. They were sparked by the milder temperatures. A similar situation occurred last year, then we got a cold snap in March and April. The buds did just fine, as Mother Nature has a way of allowing the plant to adapt. The squirrels have been having a fun time trying to get onto the feeder, as the openings close up with their weight, but there's plenty of seed to go around. I watch them do acrobatics as they hang upside down and every which way, as they are on a mission to win over the scientifically developed device. 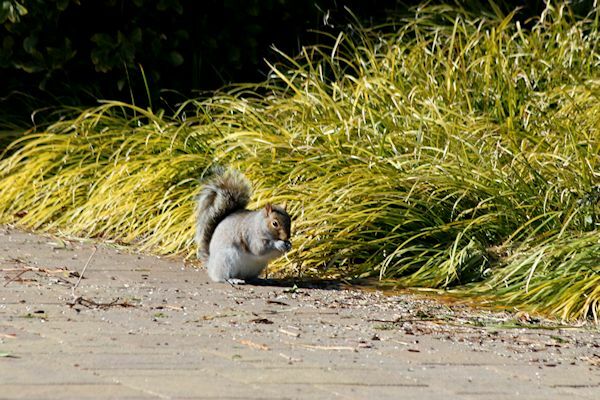 As the birds throw the seed to the ground, the feast is on! 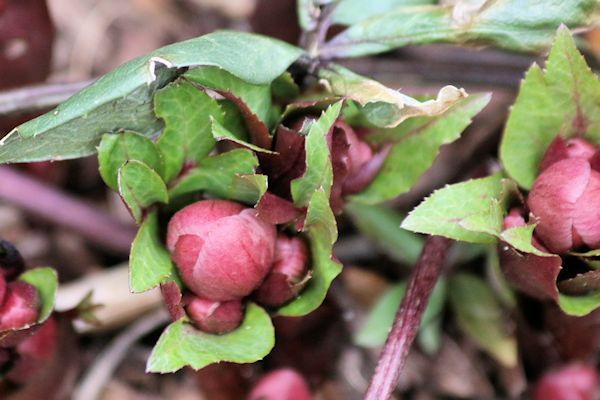 You can have blooms in winter, as Carol may say, and Hellebores can do just that. These are forming their buds, which grow larger by the day. 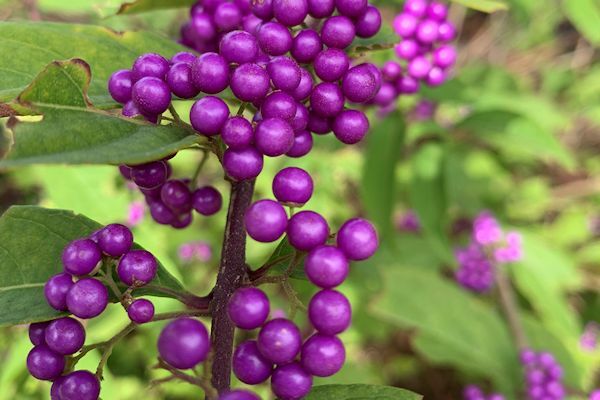 They are a little behind schedule this year, but I am expecting some blooms soon, hopefully next month. 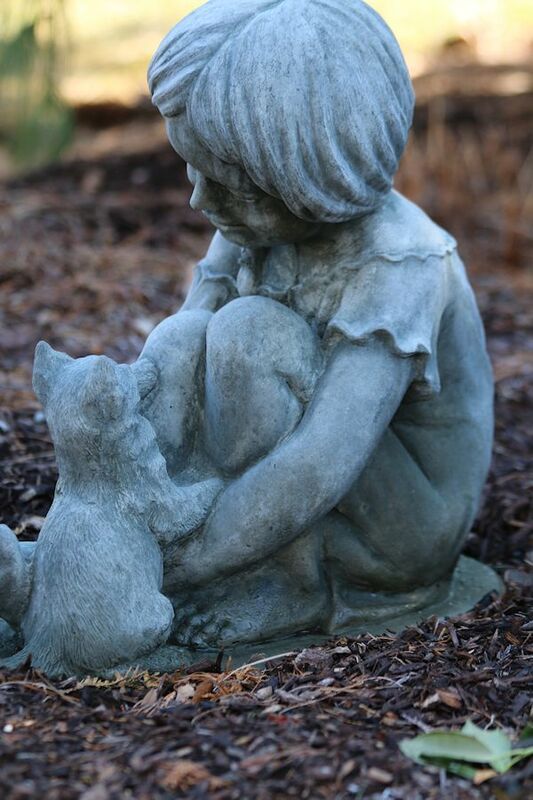 There's nothing like a little bit of whimsy in the garden and this latest addition showing the love shared by a young girl and her kitten just makes me smile every time I look at it. Over the years, I have become very sentimental when it comes to statues. 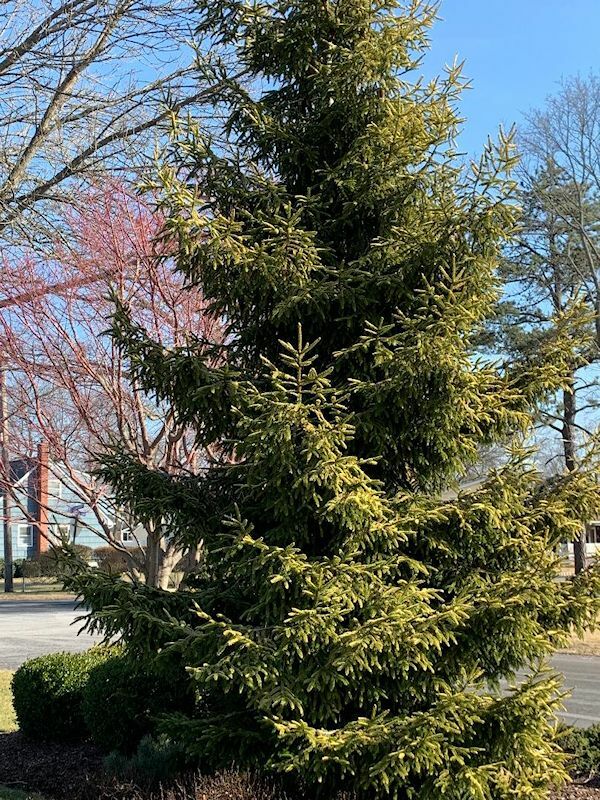 If you have been here before, you know about the infamous Golden Skyland's Oriental Spruce which I planted as a memorial to my mom back in 2008. I just love this tree and everything it symbolizes, and even planted a smaller one in the back pool garden. The tree is beautiful with its golden foliage and in winter time the bark on the Coral Bark Maple behind it turns a vivid red. It is one of my favorite viewing spots in the garden. 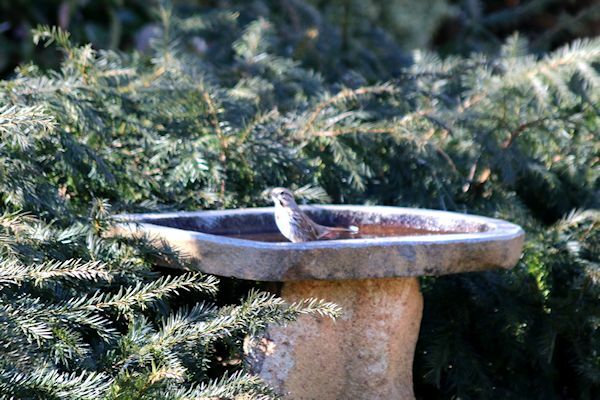 Around to the backyard, a visiting bird enjoys the birdbath, which is located right near the feeder. 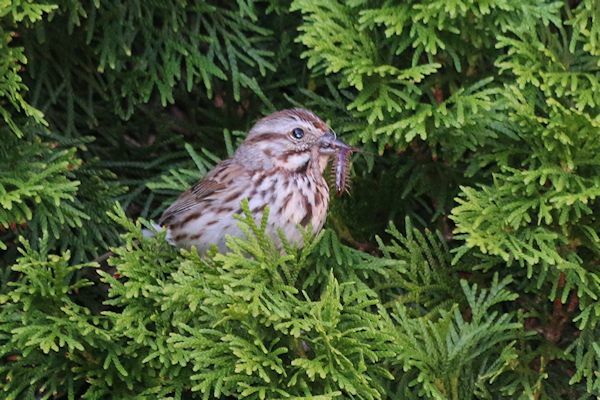 It is a daily ritual for the birds to hang out in the neighboring evergreens waiting for their turn to feast and bathe. 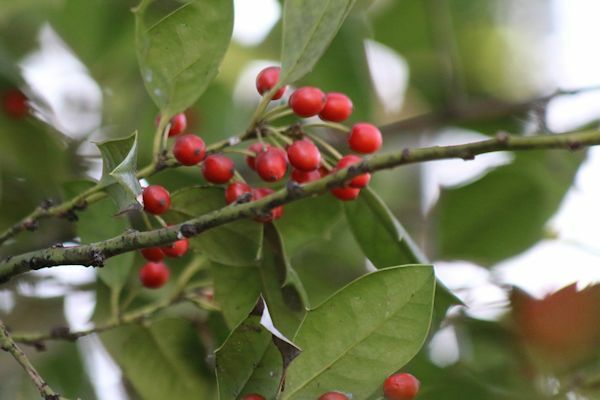 The berries on the Nellie Stevens Holly are abundant at this time of year and the birds enjoy them too! 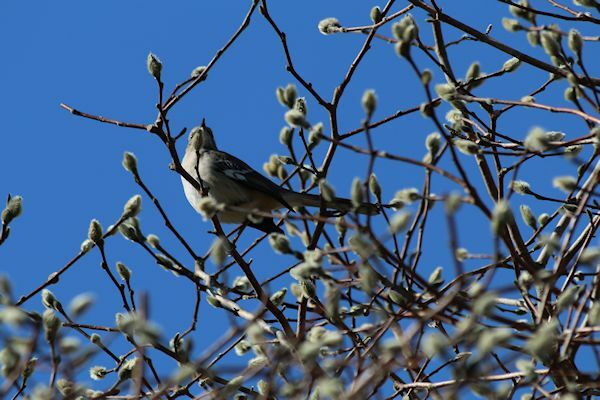 It seems like every month when I go on the tour of my garden, the same Mockingbird looks down at me from the branches of the Magnolia tree. He seems to have claimed the Magnolia 'Royal Star' as "his tree". As you can see, the buds are already getting to be a pretty nice size. 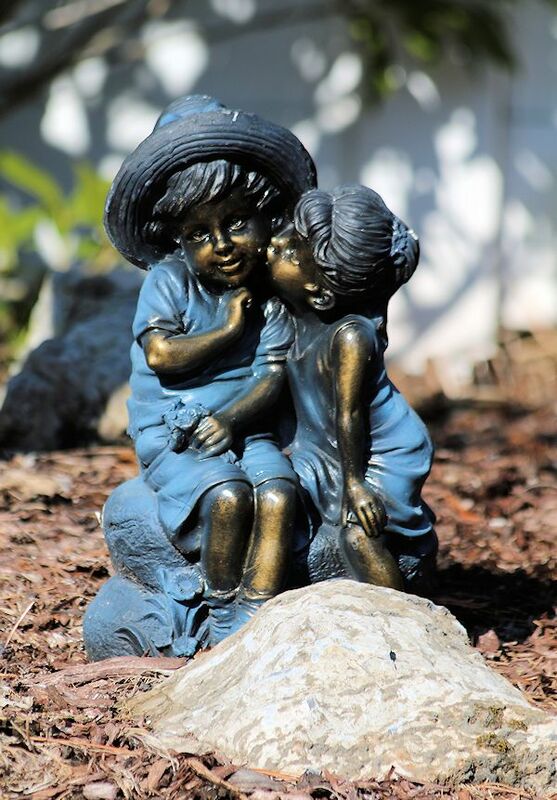 You can never get enough garden love and here is an example of one of the many statues I have placed throughout the garden. 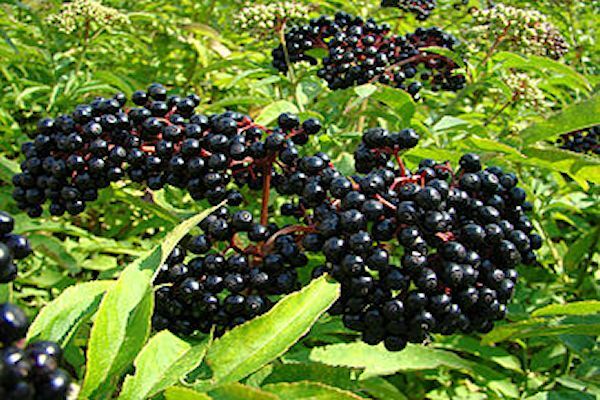 This one resides right underneath the Magnolia tree, and is surrounded by Black Eyed Susan in the summertime. 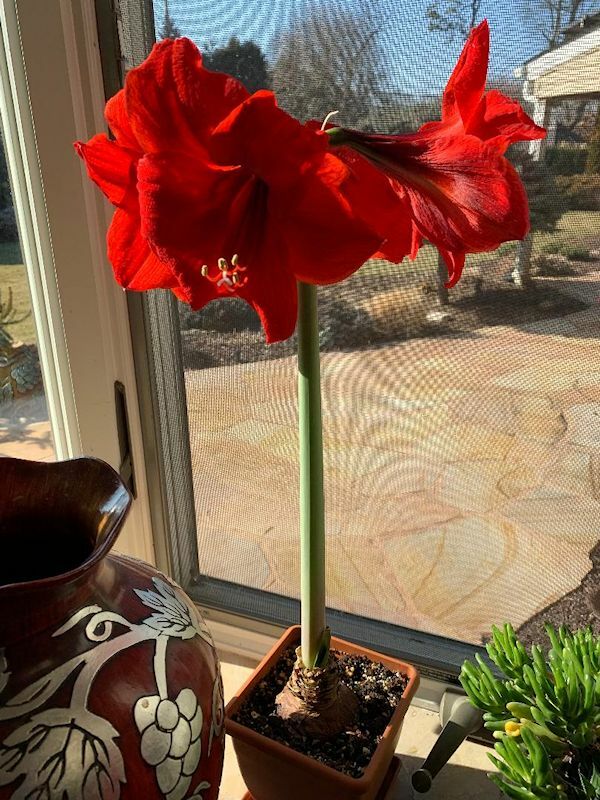 Spring bulbs!? 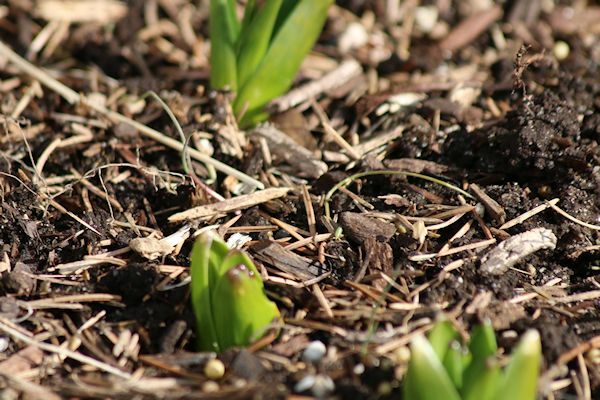 The Hyacinths started coming up in February. Is the garden confused? I would say so. 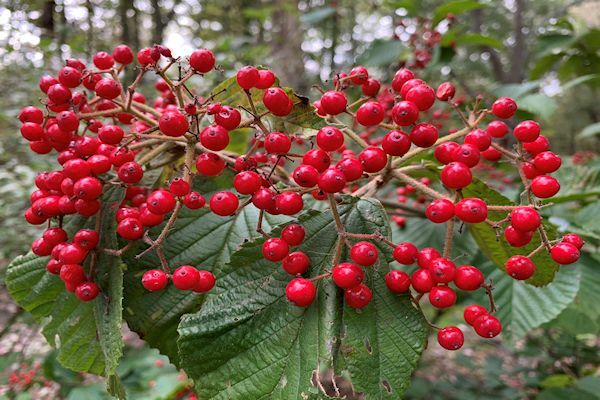 There is also new foliage on the Carlcephalum Viburnum in the back garden. The patio garden is resting for winter. 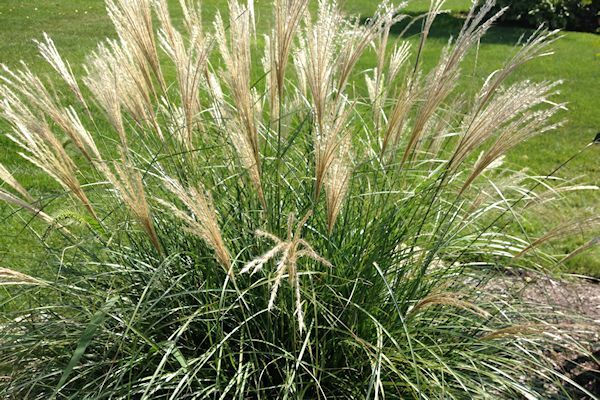 I enjoy how the view changes in each season, but would sure like to see the ornamental grasses and blooms in spring! Here are some more visiting friends. 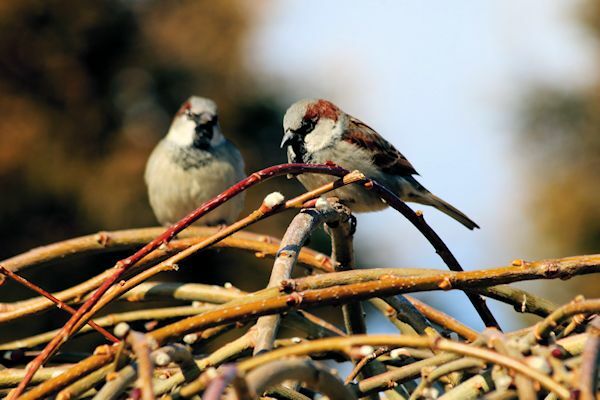 These Tree Sparrows are abundant in our area and enjoying hanging out together in groups. I often wonder what they are thinking as they watch from above. 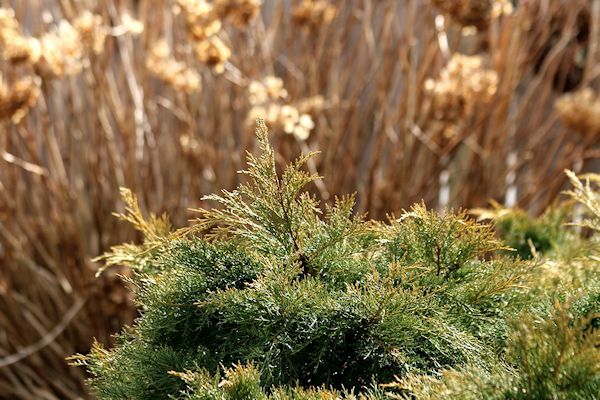 As we end the garden tour for this month, it's time to venture back inside. 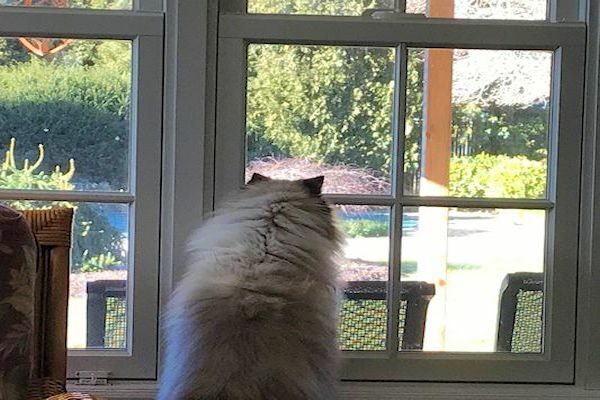 As you can see, our Himalayan kitty also enjoys looking out at the garden (and birds) just like her mom! It's inside blooms for now as I dream of warmer days ahead. 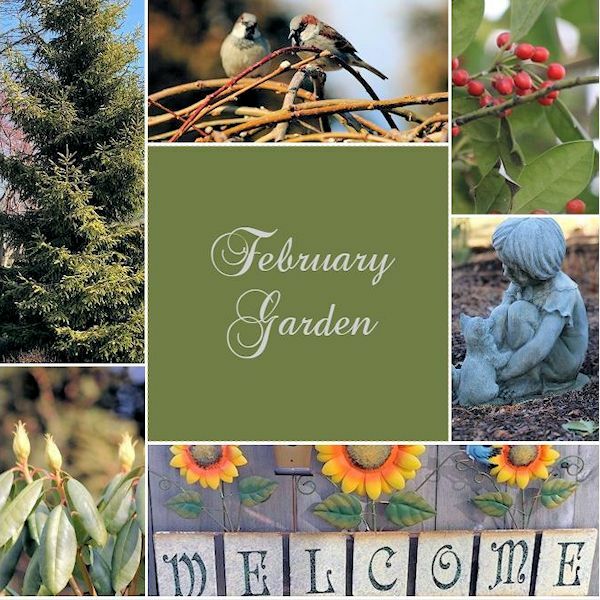 I hope you enjoyed your stroll through my February garden. Please feel free to stay a while and catch up on some past posts and perhaps visit my author page (link below). I am also celebrating two months since I published my latest book, Dream, Garden, Grow!-Musings of a Lifetime Gardener. 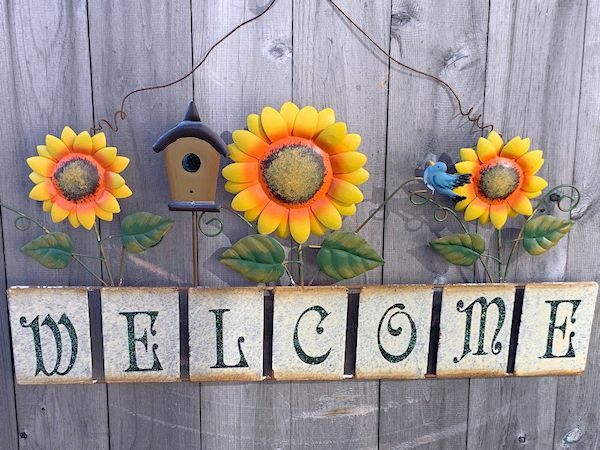 Special thanks go out to our hostess Carol at May Dreams Gardens, who makes it possible to see blooms on the 15th of every month with her meme Garden Bloggers' Bloom Day. Also, special thanks to Pam Penick at Digging who has hosted Foliage Follow-Up for all these years, a meme I will still continue to honor. I am also linking with some other wonderful hosts and hostesses at Floral Friday Fotos, Macro Monday 2, Nature Notes at Rambling Woods, Dishing It & Digging It on Sunday with Angie the Freckled Rose, Image-in-ing weekly photo share every Tuesday with NC Sue and Gardens Galore Link Up Party every other Monday with Everyday Living. I am also happy to join the Homestead Blog Hop on Wednesdays.